Among the diseases that you can get from cigarette smoking are lung cancer, heart disease, diabetes, and asthma. Studies also show that those who inhale secondhand smoke are at a higher risk of acquiring these, so you might want to consider quitting before you cause any damage to you and the people around you. These are not pleasant health conditions you want for yourself or anyone else. Smokers say that they do it because it relieves them of stress. We all know that cigarettes have nicotine, and when it reaches the brain, it causes the brain to produce dopamine. Dopamine is a chemical that serves as a messenger between brain cells. It is responsible for the feeling of pleasure, that’s why it is addictive. A pack of cigarette is not that expensive, and it is available everywhere. Unlike some other addictive substances, cigarettes are legal. Most of the smokers admit that they started smoking in their teenage years when they were at their peak of curiosity, and because the cigarette is one of the easiest to obtain, it is also one of the early addictions a person can have. Some people think smoking makes one look cool and tough. Somehow, maybe it can. But the idea that smokers couldn’t fight the urge of smoking is a definite weakness. Once a person is already addicted to smoking, it’s hard for him to stop, and it may take a while and a lot of help and self-discipline to do it. Cigarette smoking, as mentioned above, can cause a lot of fatal diseases. So smoking is like signing up to an agreement that you will live a shorter life. The worse thing about smoking is that you’re not only harming yourself but everyone else around you. It Causes Your Teeth To Turn Yellow. Cigarettes contain nicotine and tar which cause the teeth to turn yellow, or eventually brown. Since smoking mainly happens in the mouth, people overlook oral hygiene. Cigarettes have a lingering unpleasant smell. Since a pack of cigarettes is affordable, you won’t notice that you’re already spending too much for it. If you are a 1-pack daily, that would be 30 packs monthly. Try buying the whole lot just one time, and you’ll realize how much money you can save if you’re not smoking. Make a list of why you want to quit smoking. When you write down your reasons, it makes it more doable because you will have a concrete reminder of why you want to stop smoking. Make another list of why you are smoking. You will notice that most of your reasons are not logical. They are shallow and superfluous. Then make another list of the effects of smoking. You will realize that it’s not worth it! Set a quit-day. 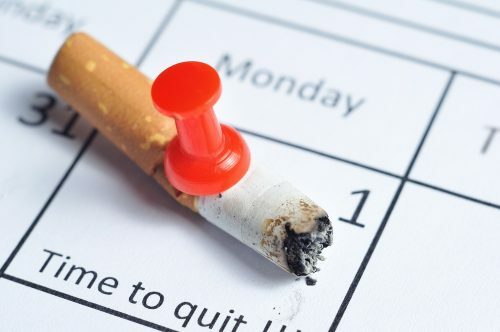 Choose a day or days in a week when you’re not going to smoke. 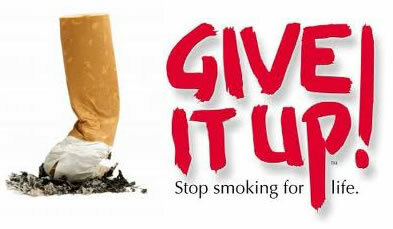 It will help you gradually let go of smoking. Keep your mouth busy. Think of an alternative you can chew on like candies or gums, then go for the healthier stuff like fruits. Drink fresh orange juice. Studies show that oranges help decrease cravings, and at the same time boost the immune system. Eat bananas. Bananas contain vitamins and minerals which are beneficial in coping with the harmful effects of smoking. Limit your stick per day. Decrease your consumption every day until you’re down to zero. Experts agree the most efficient way to stop is by doing it gradually. Engage yourself in physical activities. Sports will make you stronger and healthier. It is also addictive, so you are doing yourself a favor by switching to a healthy addiction. Hang out with people who don’t smoke. Avoid people who smoke. Avoiding temptations is one way to stop, so when you’re in the office, try going with people who are not going to invite you to smoke during breaks. Cigarette smoking is a widespread addiction that people should try to quit. We have to admit that smoking does us a lot of harm, and probably no good at all. They say that it’s difficult to stop smoking but just think about the consequences. Would you rather be in a hospital bed suffering from a fatal disease all because you won’t quit?